With the U.S. debut of the iTunes Festival set to kick off next week, Apple will reportedly update its iOS application to support live streaming of the concerts from the SXSW festival —but not before the iOS 7.1 update is issued to iPhone and iPad owners. The well-connected John Gruber of Daring Fireball reported on Tuesday that a "little birdie" told him the new iTunes Festival application will require iOS 7.1 Based on that tip, iOS 7.1 is expected to ship "any day now" to end users. AppleInsider was also told weeks ago that iOS 7.1 is expected to arrive in March. Ahead of the update's launch, Apple debuted new mass deployment tools last week, making it easier for IT professionals to launch large numbers of iOS devices in enterprise or education settings. Pre-release versions of iOS 7 have been supplied to developers for testing since last November, making it a particularly lengthy beta period. Since iOS 7 launched last September, users have expressed frustration with a number of lingering bugs that have yet to be patched. Most notably, users have experienced crashes when using the new multitasking interface, while the Safari browser is also prone to frequent crashes. 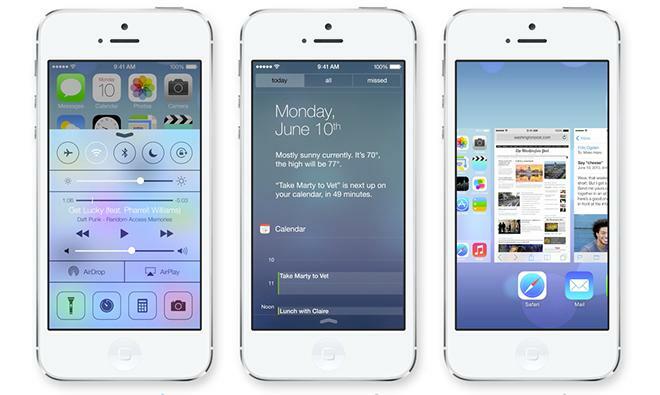 To date, there have been five beta releases of iOS 7.1, the most recent arriving in early February. It features new "natural-sounding" Siri voices for international users in the U.K., Australia and Japan. Separately, AppleInsider was told by sources last week that Apple is preparing a software update that will enhance the functionality of Touch ID, potentially fixing a "fade" issue that has been experienced by some iPhone 5s users. It is unknown whether that update will be a part of iOS 7.1, or if it will arrive independently.